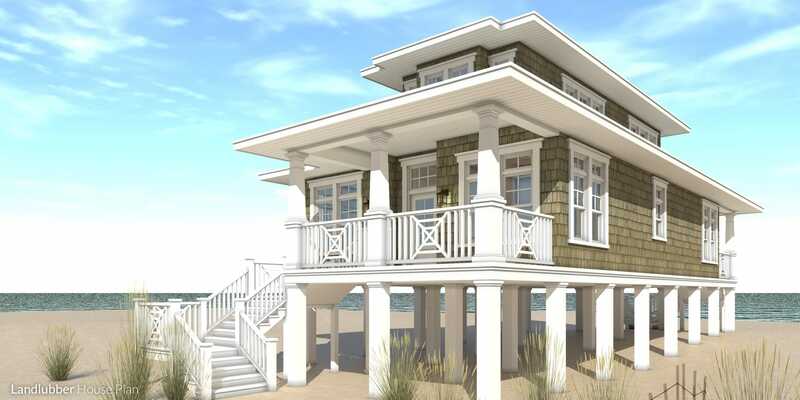 3 Bedroom Beach House. Landlubber House Plan. A charming 3 bedroom beach house. The style of this house is the perfect setting for your summer vacations. 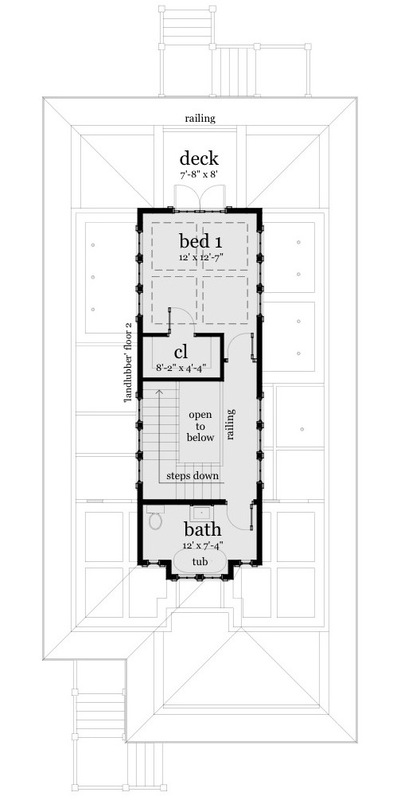 Landlubber House Plan. Casual Oceanfront Entertaining. Three bedrooms and two baths. The foyer opens to an ornate stairway, living and kitchen. The kitchen and living room connect to the porch through two sets of french doors. The upstairs bedroom has spectacular views and a walkout sundeck. 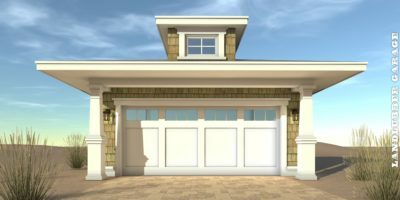 If you need a matching garage, you will like the Landlubber Garage. Another Landlubber Beach House has been built on the coast of New Jersey, north of Atlantic City. View more about the Landlubber House Plan, or browse through all Landlubber photos. 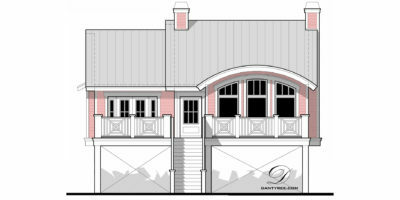 Photos from a build of the Landlubber house plans on the San Jacinto River in Houston, TX. View more about the Landlubber Plans or photos from construction in Belize.